Obsessed with customer service, hospitality & event marketing, partnerships, BURGERS, craft beer, events, helping others, my cat and most of all, my wife. David “Rev” Ciancio is a senior creative professional with 18 years experience in marketing and business development. After graduating from Michigan State University with a Bachelor of Arts in Telecommunications, and a minor in Social Sciences, he moved to the New York area to begin his career. Currently Rev is the Director of Marketing for Burger Maker, a privately held hamburger and ground beef processor located in Carlstadt, NJ, which supplies the highest quality of product and customer service in the foodservice industry. His role is take his passion for hamburgers and match it with his years of experience in branding and hospitality marketing. Restaurants like Five Guys Burgers and Fries, Fuddruckers, BurgerFi and Bobby’s Burger Palace get their beef from Burger Maker. Rev comes to Burger Maker from Cardlytics, which partners with major financial institutions to target consumers based on their shopping behavior by placing relevant, target local advertising on their electronic banking statements. The most notable Cardlytics program is Bank of America’s “BankAmeriDeals,” where Rev specialized in multi-unit restaurant and grocery marketing. Prior to joining Cardlytics, Rev worked on business development as the Partnership Development and Sales Manager for Thrillist, where he established partner relationships within entertainment, nightlife and dining industries to create unique event programming and compelling offers for Thrillist Rewards subscribers. While working with Thrillist Rewards in 2012, Rev founded and produced the first-ever NY Burger Week. NY Burger Week is now an annual seven day celebration of hamburgers with a series of burger-themed events including the annual NY Burger Crawl. He also co-owns Idle Hands Bar in New York City’s East Village, where he serves as the CMO and Beer Sommelier, oversees all marketing and public relations and manages social media, promotions and the bar’s website. The bar is known for a large selection of rotating craft beers and bourbons, diverse events—including beer and bourbon lessons and pairing dinners, as well as concert after-parties, bar crawls and holiday parties. Rev is the founder of Yeah! Management, an entertainment and hospitality industry marketing agency. Yeah! specialized in business development/brand consulting, community and social media consulting, event marketing, and artist management/development. Through Yeah!, Rev developed customized marketing and sales programs for clients to increase brand awareness. Rev also developed and executed special events, including concerts, music festivals, pop-up shops and food and beverage tasting events. Yeah! was a partnership with Artist Arena, one of the world’s most prominent VIP and luxury fan club ticketing services. Rev worked as Artist Arena’s business development and sales account manager. Before starting Yeah! Management, Rev was a principal at The Music Syndicate for more than a decade. The “Syn” is an independent marketing and consulting agency specializing in the promotion of consumer products, music artists, comedians, movies, television, live events, and lifestyle trends. When Rev is not hard at work with his clients or spending time with his wife Cara, a professional author, he is a prominent food blogger. Rev created and manages one of the top burger blogs in world, Burger Conquest. As part of Burger Conquest, he also organizes and hosts the New York City Wing-Off. 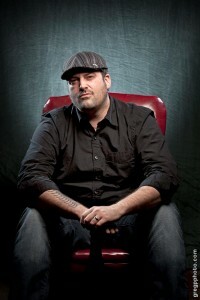 Rev has even appeared on numerous different television shows including The Learning Channel’s Cake Boss, where he and Idle Hands were featured in an episode.